Good: protect you from trading blind if your computer or internet service goes down for day traders. Good: Faster than on your computer. You’ll get you filled even if your computer or internet connection goes down. But that may be good or bad! May want this if you’re a swing trader. May not want this if you’re a day trader. Bad: Slower fill than if trade went straight to the exchange. Good: Fastest fill because you’re earliest in the queue of a First-in-first-out type of system. Bad: But may be trading blind if have technology problems on your end, and then you can’t get out quick. Or if market conditions change and you decide you no longer want to get filled. Rules vary depending on your broker, software, the exchange, and the market your trading (stocks, futures or Forex). It will also vary especially depending on the type of order you’re placing. For example, a stop order may be treated differently than a OTO order, which may be treated differently than Touch if Filled Orders, which may be treated differently than a bracket order, which may be different than a market or limit order. To get all the details in YOUR situation, check the website of your broker, and if you don’t find the answers there, call their support team. This trade strategy is so good that I personally use it every day it sets up, and you can try with no obligation, and prove to yourself that it works for you as well. #2. Get my “Cycle Indicator” for Precision Market Entry Triggers. I use this indicator on EVERY trade I take. 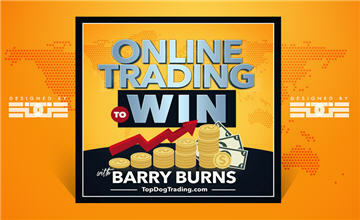 It works for day trading & swing trading Forex, futures and the stock markets. This is a true “try before you buy” offer, or heck, actually, it’s a try and never buy offer, as my gift to you!